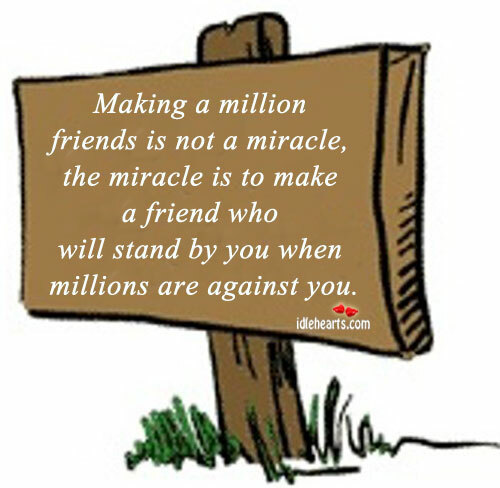 The Best Friendship SMS. Use image quotations as wallpapers, backgrounds to help inspire and keep pushing forward towards your dreams. 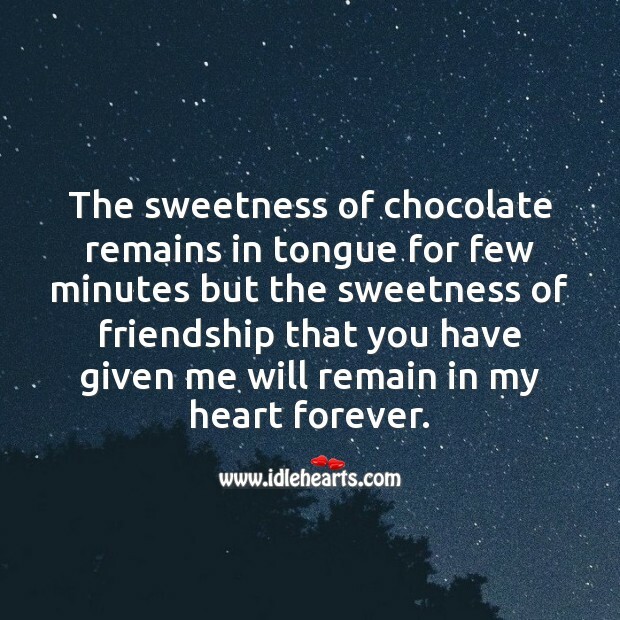 The sweetness of chocolate remains in tongue for few minutes but the sweetness of friendship that you have given me will remain in my heart forever. 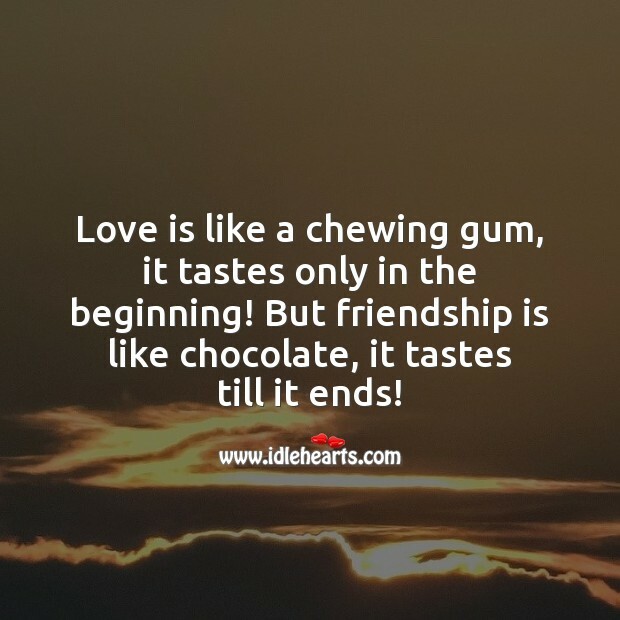 Love is a diary that only one person writes but friendship is a public book where you study in library. So what do you prefer? 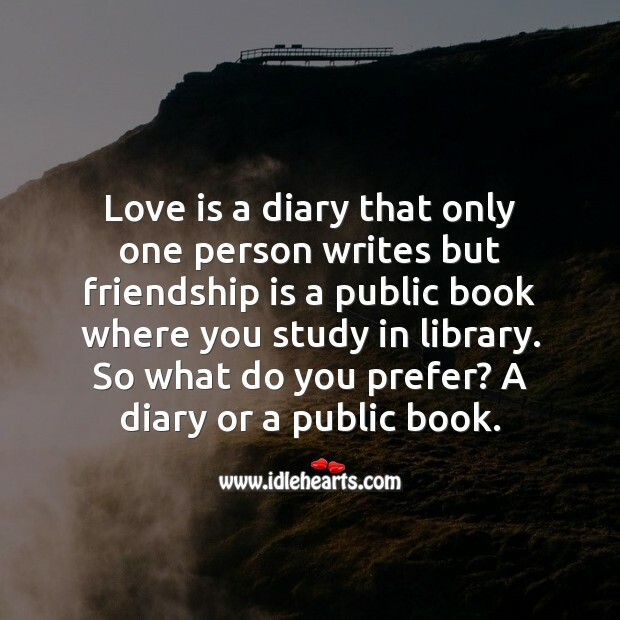 A diary or a public book. 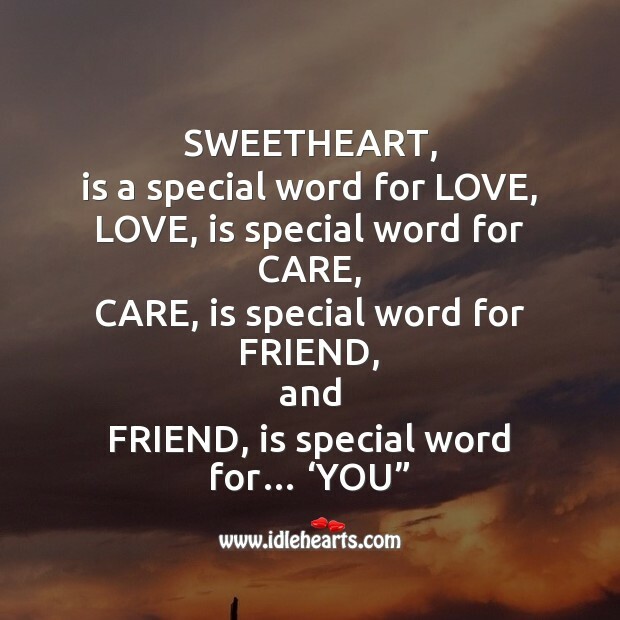 Love is a diary that only one person writes but friendship is a public book where you study in library. So what do you prefer? 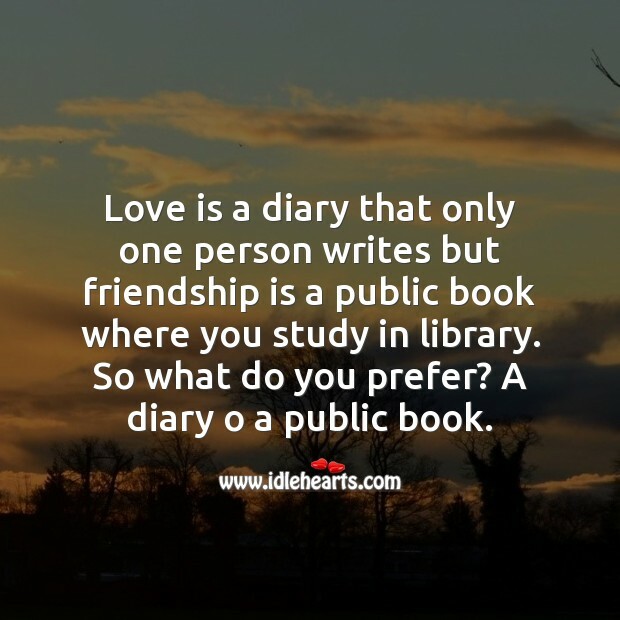 A diary o a public book. 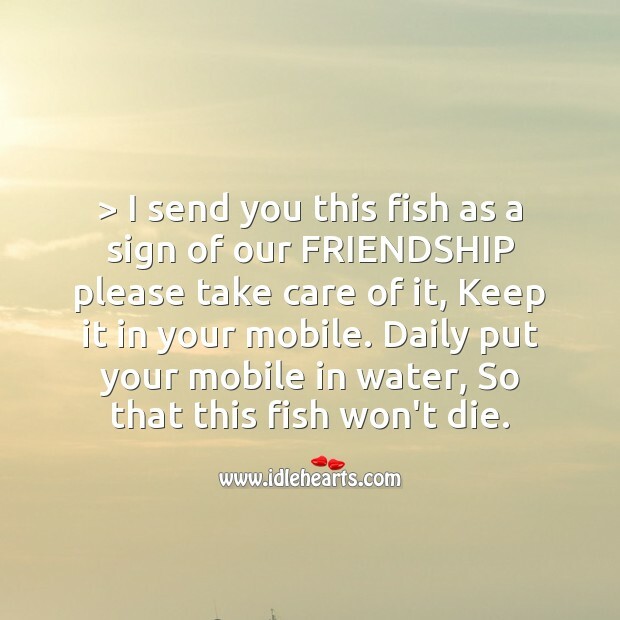 > I send you this fish as a sign of our FRIENDSHIP please take care of it, Keep it in your mobile. Daily put your mobile in water, So that this fish won't die. Love is a hand watch. 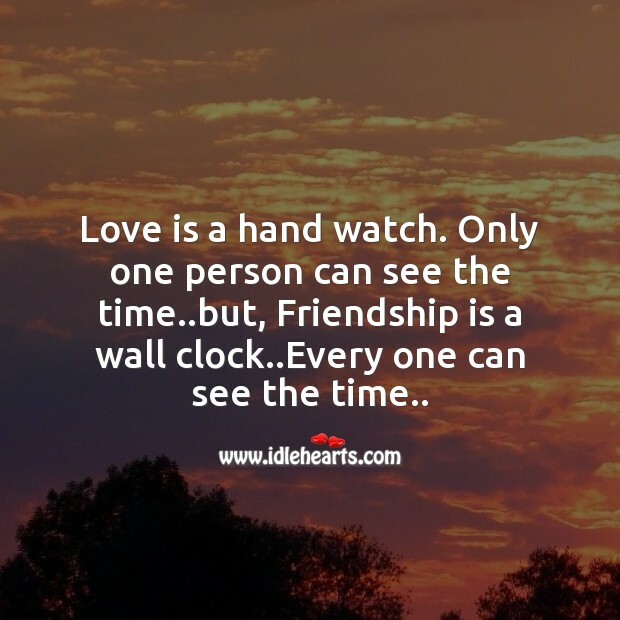 Only one person can see the time..but, Friendship is a wall clock..Every one can see the time..
How can you tell the rain not to fall when clouds exist? How can you tell the leaves not 2to fall when wind exist? 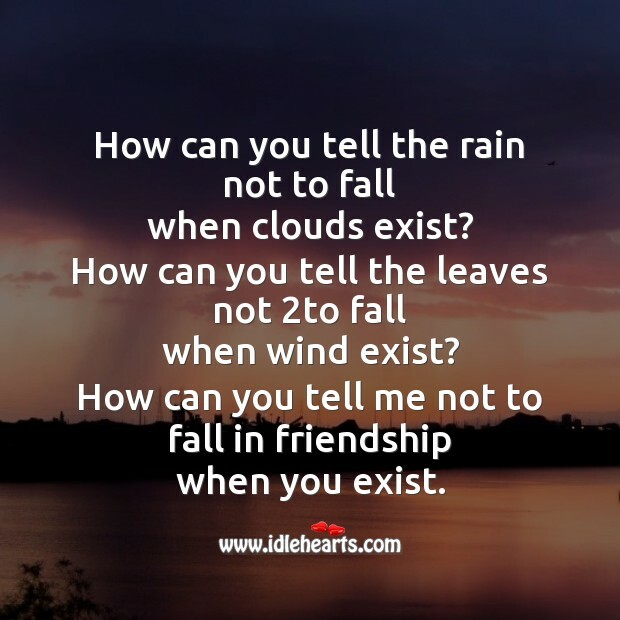 How can you tell me not to fall in friendship when you exist. 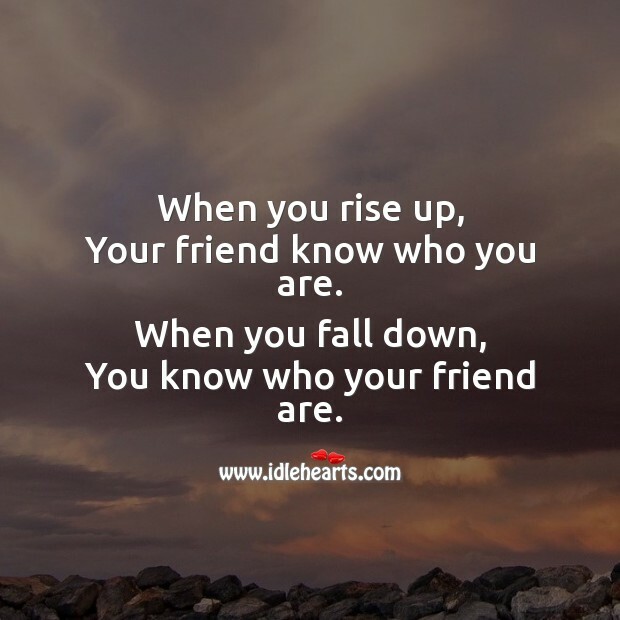 When you rise up, Your friend know who you are. 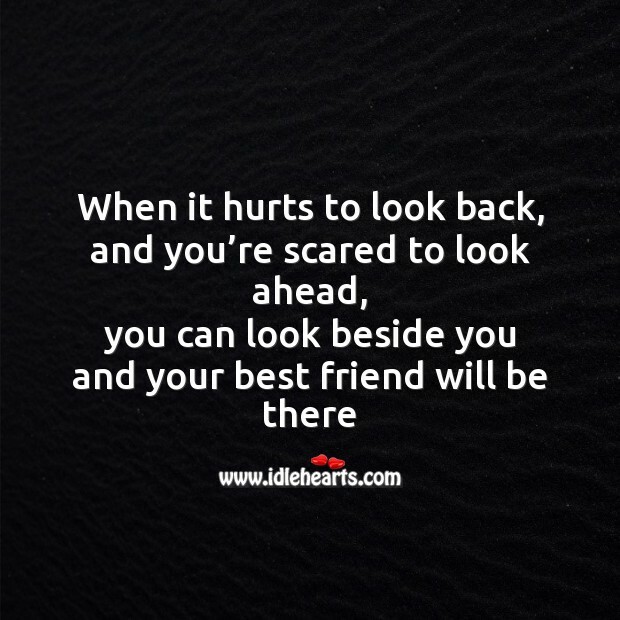 When you fall down, You know who your friend are. Flower are many But i like rose. 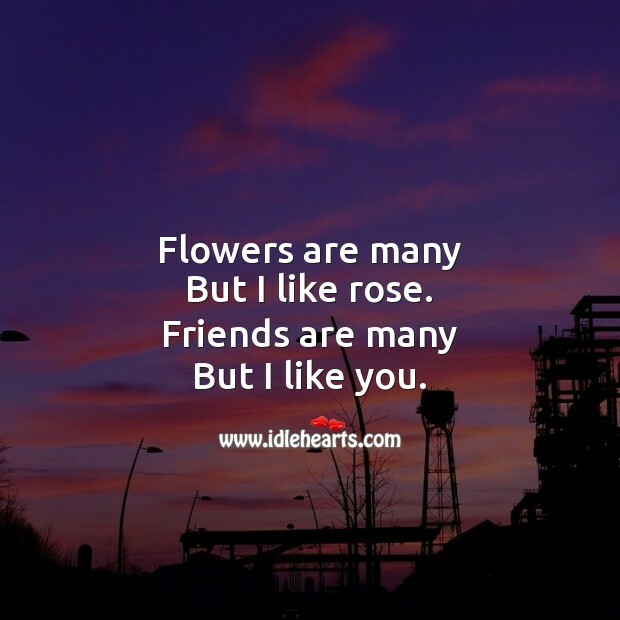 Friends are many But I like you. 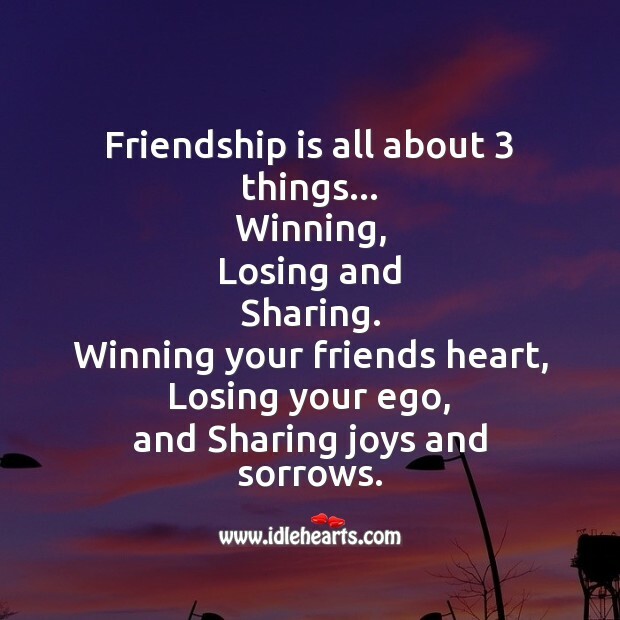 Friendship is all about 3 things... Winning, Losing and Sharing. 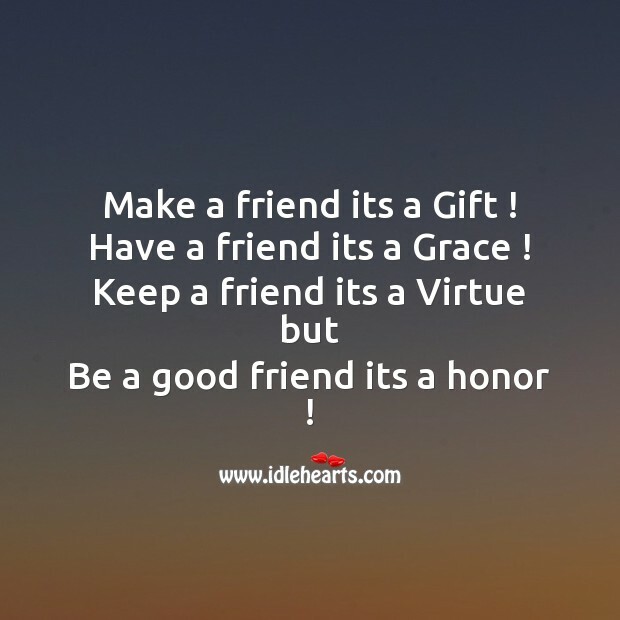 Winning your friends heart, Losing your ego, and Sharing joys and sorrows. 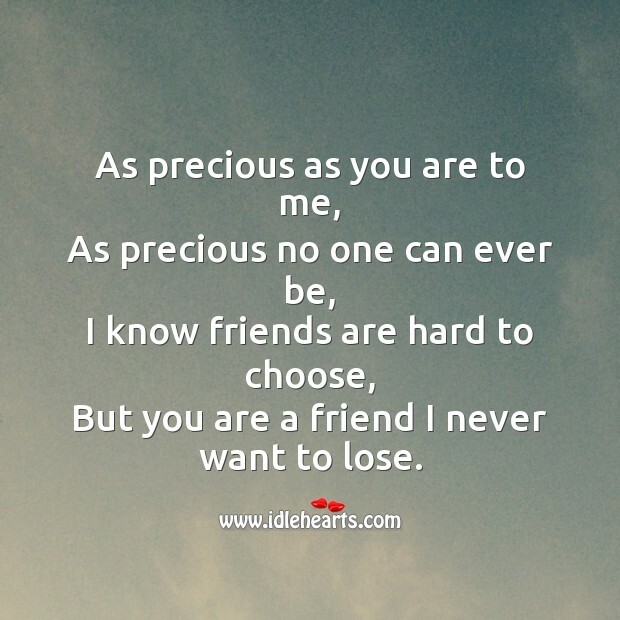 As precious as you are to me, As precious no one can ever be, I know friends are hard to choose, But you are a friend I never want to lose. 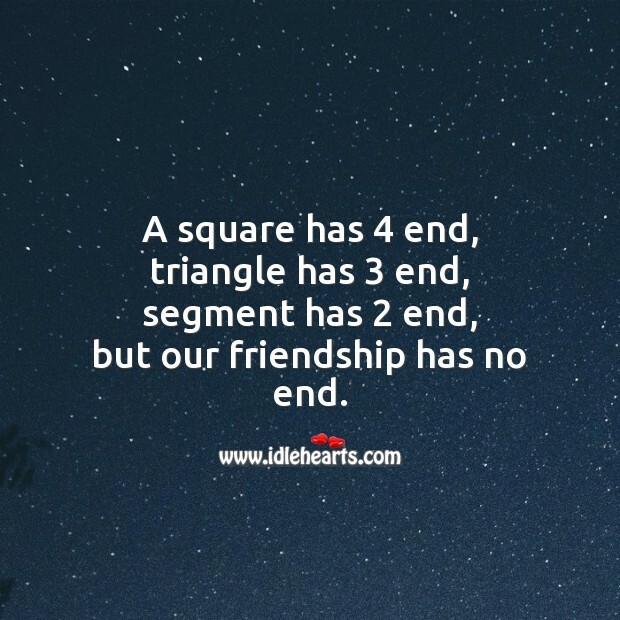 A square has 4 end, triangle has 3 end, segment has 2 end, but our friendship has no end.